A WordPress plugin for quick posting of images to your blog. New Year Photo of the Day Resolution? If you’ve made it a goal to post a photo a day in 2015, why not try WordPress with WP Quick Image for simple image posting? 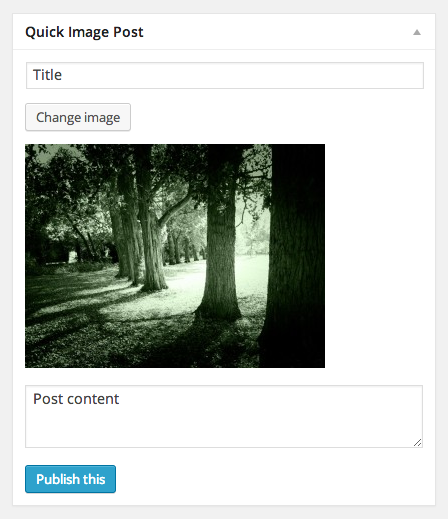 Simple posting of images from the WordPress Dashboard, even on mobile! Made a new year’s resolution to take a photo-a-day? Or run a photo blog? WP Quick Image is ideal!